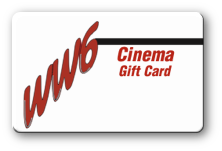 Each patron must have their own Valid ID to purchase an R Rated movie ticket. Each patron should also be prepared to show this ID to the ticket taker upon entering the auditorium. Patrons must be at least 17 years of age or have their parent accompany them to view the movie. At the Westwood’s Last Saturday Sensory Friendly Screenings we try to create a comfortable environment for those who lead lives with Autism or other sensory sensitivities, so . . . we turn the lights up, turn the sound down, and invite all our guests to get up, dance, walk, shout and sing! In short . . . just have fun experiencing the latest Hollywood hits!